Hundreds of food bloggers have covered the grain free pancake—giving it their own spin. Here I follow suit with Grain Free Coconut Flour Pancakes. Summer mornings have gotten pretty predictable around here. We are on a breakfast rotation of Fried Breakfast Tomatoes with Eggs, Pumpkin Porridge (from this book) and Grain Free Coconut Flour Pancakes. As with singers and the hymn Amazing Grace, hundreds of food bloggers have covered the grain free pancake—giving it their own spin. Here I follow suit. In this rendition of Grain Free Coconut Flour Pancakes I have added a touch of cane sugar. Pure maple syrup works great, too. However, I don’t use honey in this recipe and here’s why. Over the years I have observed that depending on the amount of egg in a pancake recipe, pancakes can benefit from the addition of specific sweeteners to the batter. If you have a pancake recipe that just doesn’t achieve golden perfection, add a tablespoon or two of honey. If you have a recipe that browns too much, use cane sugar or maple syrup. In my experimentation, I have found that sugar and maple syrup just don’t caramelize as much as honey—and caramelization is what gives a pancake the golden kiss. Pancakes heavier on the egg, as in this recipe, achieve their golden hue in-part from the eggs. Don’t do eggs? For many years my son couldn’t. Here are some trusted gluten free, dairy free and egg free pancakes I have made time and time again. Whisk dry ingredients in large bowl. Whisk wet ingredients in a medium bowl. Add wet ingredient to dry ingredients and whisk just until smooth. Let stand 5 minutes (coconut flour will absorb liquid and batter will thicken). Cook 1-1/2 minutes on each side. These look delicious. I’ve never had much luck with coconut flour and pancakes, but these look so yummy I’m going to give it another try! Those pancakes look perfect and fluffy! Not only do these look amazingly fluffy, but I also love that beautiful light hue – so inviting. I’ve been leery with coconut flour after so many failed recipes (or I guess they weren’t failed – they just weren’t good!). But everything from your kitchen, Alexa, is always spot on, so I know these must be good! Coconut flour can be tricky. Eggs are typically a must. Probably why it works so well in this recipe and others like it. 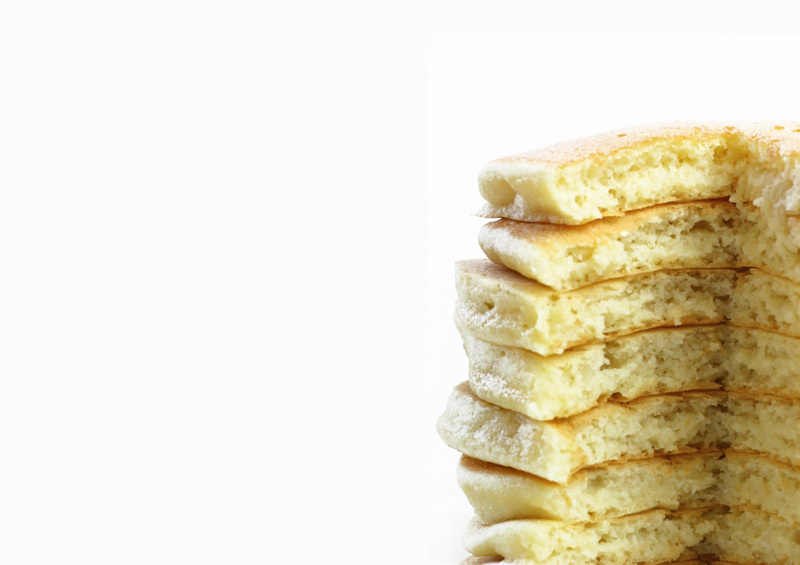 These pancakes look so light and fluffy like they’ll just melt in your mouth! Great tips on achieving that golden pancake perfection! These would be a delicious breakfast to wake up to! These look so light and fluffy! Never would have guessed they were grain free! Thanks you Jessica. Love your site! These look amazing! They look so light and fluffy! I would have never known they were grain free! I have to try this out this weekend for breakfast! They look so fluffy! 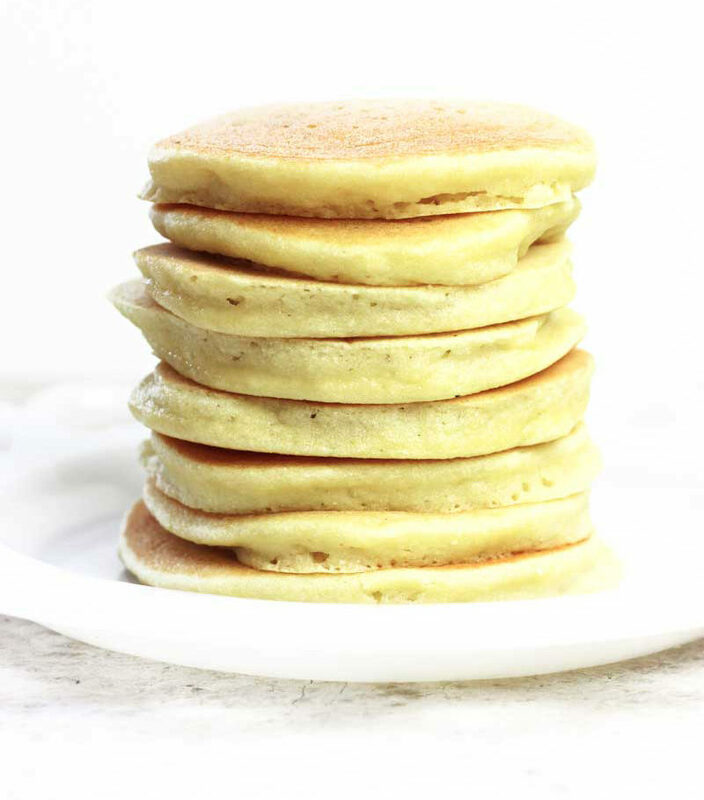 I can’t say I’ve ever seen grain free pancakes look so fluffy, can’t wait to try these. I’m always looking for new pancake recipes to try. These seriously look next level. SO fluffy! Could you reduce the water amount and possibly use it for waffles? Hi Andie, seeing these rise on the griddle and maintain that rise made me so happy! I know cooking the coconut flour can be a bit tricky, these look so fluffy and delicious! Yes, it can be 🙂 But when it’s used right it can’t be beat. Love all the good fiber! Came across this recipe this week and saved it. Today I made these. I’ve tried a fair number of “healthier” gluten free pancake recipes. These actually are fluffy. Which seems amazing. My husband said they were by far the best I’ve made thus far. “Not like those hockey pucks you used to make.” Hahaha. He puts up with a lot of food experiments. I could tell they had coconut flour and a higher egg count but it wasn’t overwhelming either. Thank you for the recipe! This is a keeper. Hi Dawn, I am so happy! Thank you for taking the time to share your success. I really appreciate it! I love that you are an experimenter. I bet you can’t make the same recipe twice, ha!. I can’t 🙂 … well except for this one. Love finding these kinds of comments in my inbox! Thank you Maggie!! Made these and loved them! The best part – I packaged the leftovers with a layer of parchment paper between each pancake and froze them. I have enjoyed a pancake with almond butter with my morning coffee break every day since – I toast them lightly in the toaster – on a low setting they thaw but don’t toast! Perfect! Thanks, Lex, for a recipe even my kids love! Thank you! Do I add the cooking oil to the wet ingredients or yo the hot griddle when cooking? Hi Sarah, the oil is a wet ingredient and goes into the batter. I use a non-stick griddle (I know, tsk tsk), but oil your cooking surface if needed. I adore these pancakes and they freeze well! I was curious why the paleo option has less baking powder? I leave out all sugar or use significantly less maple sugar. Thanks!! Thank you! I have been using baking powder and using less instead of baking soda. It’s been turning out! Do you think there would be a way to use less wet ingredients and make this into pancake muffins?